Forum is VERY quiet of late sadly, so why isn't everyone posting? Now, i'm sure a few of us are expecting little & big foals.... what have you got due & when? Will get pics of mine today. 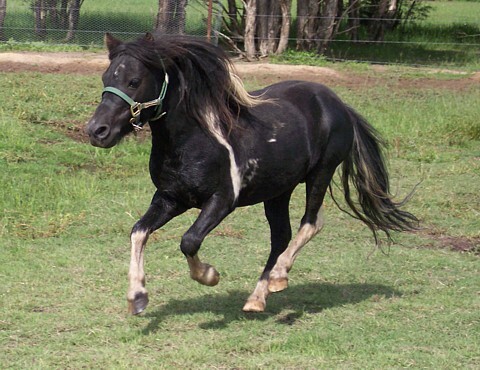 Unless....I buy a mini I spied last night But that depends if I sell this colt I have here or not. I know Kay has a few due this year...Im sure she will fill us in. I will apologise now in case my photo's are too big. We have sent most our horses to outside stallions this year so are very excited to see what we end up with. I have 2 mini foals due this season. 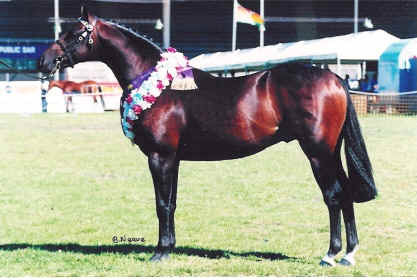 a 35" silver bay mare in to a 34" black sabino stallion (due Dec). Wow Jayde, love your pally mare. What a beautiful cross that is going to be! I am not 100% sure how many I have due, possibly 8, almost all of my mares were served by one of my three stallions. The only one I know is in foal for sure is this little pork chop, Junolan Ginges Bubby, who was served by my b&w Jabiru Salt N Pepper.. This photo is over a month old now, so she is even bigger. By my calculations she still has 4.5mths to go but she is HUGE. I hope one of mine is going to foal otherwise she has something going on in her belly! Next year i will have more.